Click here for YouTube playlist for BACK view Yang 16. Yang Style 16 Form is a relatively new form developed in the early 2000 by a commission who decided to create other tai chi forms for grading purposes. The 10 Form and 16 Form were developed as forms that are easier than the 24 which was developed in the 1950's. The standard is Yang 24 Simplified Form. everydaytaichi lucy learned from Master Wu in the 1990's when form 10 and form 16 had not been developed. She studied only the 24 Short Form. Yang 16 Form is composed of 16 movements all of which are used in the Yang 24 Short or Simplified Form. Both the sequence and direction that the movements are performed are slightly different. 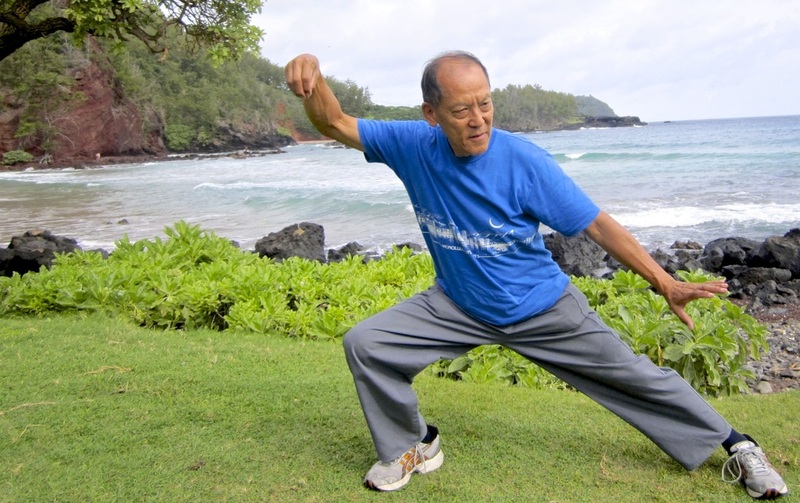 everydaytaichi ken learned the 10 and 16 form later and is now teaching it to our students. Our focus is to incorporate and refine the movements of the 10 and 16 Form and apply them to the 24 Form. We feel that we would like our everydaytaichi students to expand their minds and learn something new to further refine and enhance their tai chi. Click here for Yang 16 Form YouTube Playlist.